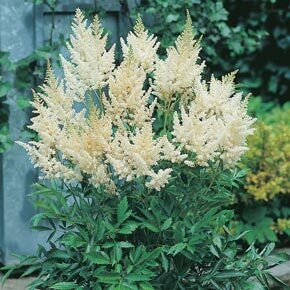 Frankly, we haven't paid enough attention to Astilbe lately. It's easy to take them for granted, when they rebloom summer after summer in shady areas and woodlands. Add their reliability to the fact that deer seem to leave them alone, and you have an easy-care, low-maintenance winner. Plus, they make unique and lovely arrangements for indoor enjoyment. In midsummer, it's possible to cut a bouquet of the long, feathery flowers when they are still tightly budded and haven't yet fully opened. Add them to a fresh arrangement and you'll get rave reviews on your creativity. 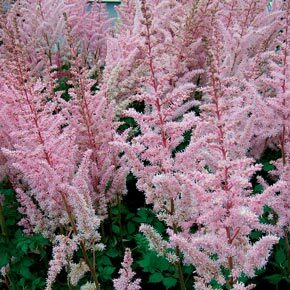 All three of these charming, dependable Astilbe chinensis varieties are tough and tall with Mighty Pip being the most astounding of all at up to 4' in height. They really aren't fussy, but will not tolerate drought, so watch for hot, dry spells and periodically give them a deep drink. 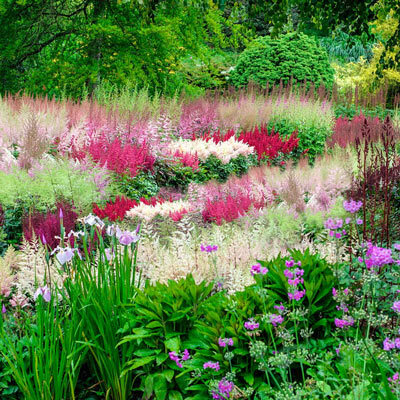 If your soil is loamy and moist, they'll be fine and reward you with flowers that appear to float above the ground covers. 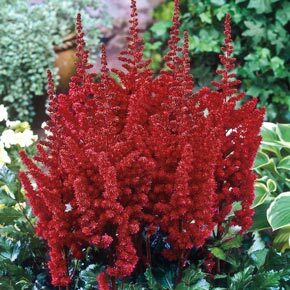 Collection contains one each of: Astilbe 'Vision in Red', Astilbe 'Mighty Pip', Astilbe 'Vision in White'. Total 3 plants. 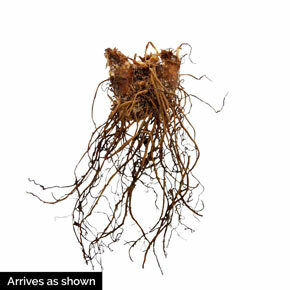 Soil Requirement: Fertile, organic soil, that retains moisture but not soggy. Watering Requirement: Water regularly to maintain wet or moist soil.